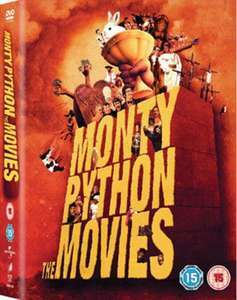 ...any Monty Python Blu-ray deals? Ty op. Bagged the box set and bugsy malone for the little one for a fiver! Nice. Monty Python's Life of Brian. Simply the best comedy film of all time. Purely for balance of course. "You can't parody Islam," says Palin: "There are people out there without a sense of humour and they’re heavily armed "
Wanna buy some Ocelot noses? Life of Brian is 40 years old this year and they are showing it a number of cinemas to celebrate the anniversary. The Date? MAUNDY THURSDAY, a bunch of us are going dressed as priests etc, women with beards, cant wait! Life of Brian is 40 years old this year and they are showing it a number …Life of Brian is 40 years old this year and they are showing it a number of cinemas to celebrate the anniversary. The Date? MAUNDY THURSDAY, a bunch of us are going dressed as priests etc, women with beards, cant wait! I dont see many other 40 year old films having anniversary showings?